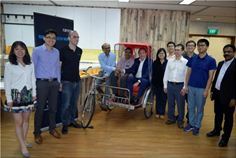 Ramco is a fast-growing enterprise software player disrupting the market with its multi-tenanted cloud and mobile-based enterprise software in the area of HCM and Global Payroll, ERP and M&E MRO for Aviation. Part of the USD 1 billion Ramco Group, Ramco Systems focuses on Innovation and Culture to differentiate itself in the marketplace. On Innovation front, Ramco has been focusing on moving towards Cognitive and Robotic ERP with features such as Chatbots – which allows users to complete transaction using natural conversations; Mail It – transact with the application by just sending an email; HUB It – a one screen does it all concept built to address all activities of a user; Thumb It – mobility where the system presents users with option to choose rather than type values and Prompt It – a cognitive ability which will let the system complete the transaction and prompts the user for approval.